Few public health measures can compare to vaccines. Vaccinations have reduced disease, disability, and death from a variety of infectious diseases. In addition to saving lives, vaccination has resulted in economic benefits to societies, amounting to almost $69 billion in the United States alone. A recent economic analysis of 10 vaccines for 94 countries estimated that a $34 billion immunization investment resulted in savings of $586 billion in reducing costs of illness and $1.53 trillion when broader economic benefits were included. But despite the overwhelming abundance of evidence, some people choose not to vaccinate their kids. In response, Dr. Charles Goodman and other doctors are adopting a new policy. 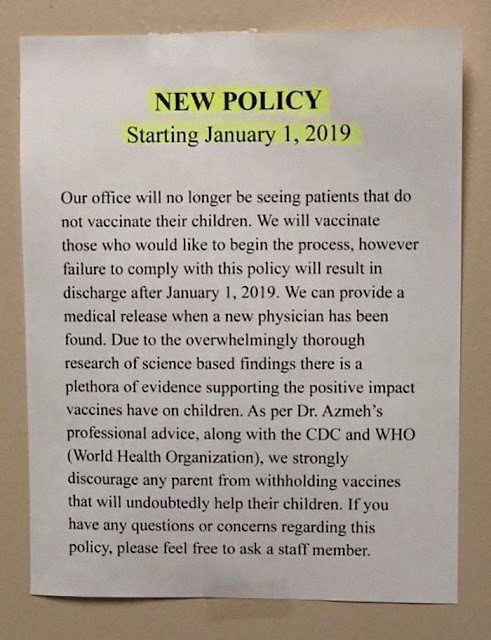 They will no longer see children and/or their parents who don’t get them vaccinated. 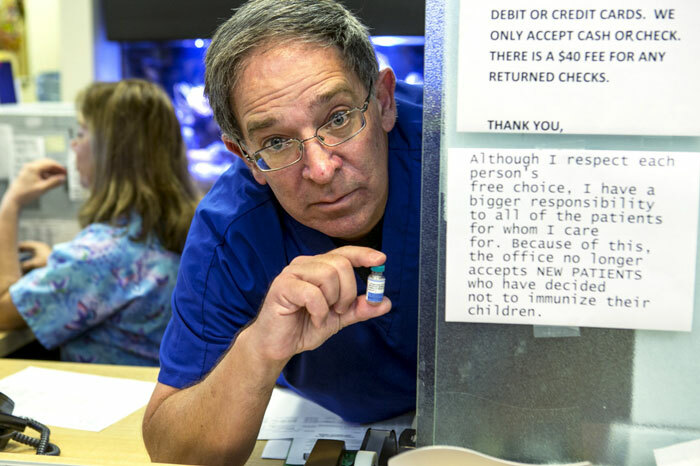 “Parents who choose not to give measles shots, they’re not just putting their kids at risk, but they’re also putting other kids at risk — especially kids in my waiting room,” Dr. Goodman said. 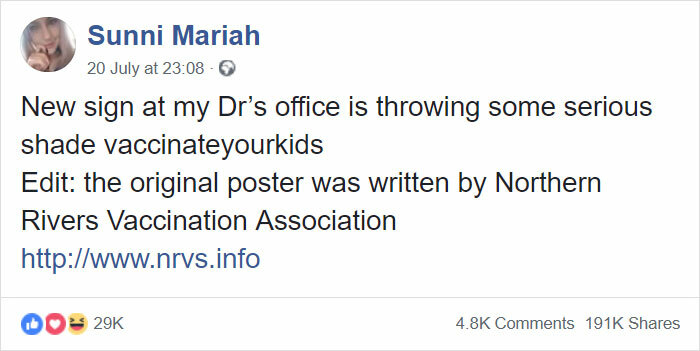 As doctors continue “firing” patients who believe debunked research linking vaccines to autism, some mothers who have been dropped feel “betrayed and upset.” Dotty Hagmier, founder of the support group Moms in Charge added that these parents made up their minds about vaccines after “careful research and diligence to understand the risks versus the benefits for their own children’s circumstances.” Some add that by dropping these people doctors might be sending them to quacks. 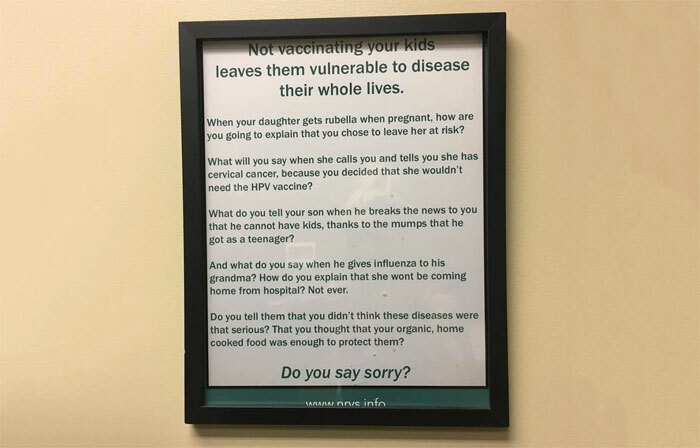 The American Academy of Pediatrics stated that doctors should speak of the importance of vaccinations during visits but should respect parents’ wishes unless there’s a significant risk to the child. People need to be re-educated or just plain educated on what these diseases are with graphic images and video to help them understand better. My moms cousin who has passed away spent his whole life in a wheel chair because of polio and he was lucky. When polio spread back in the 40's (I'm guessing the date here) it left people dead or having to live the rest of their lives in an iron lung. What a bunch of sheeple! 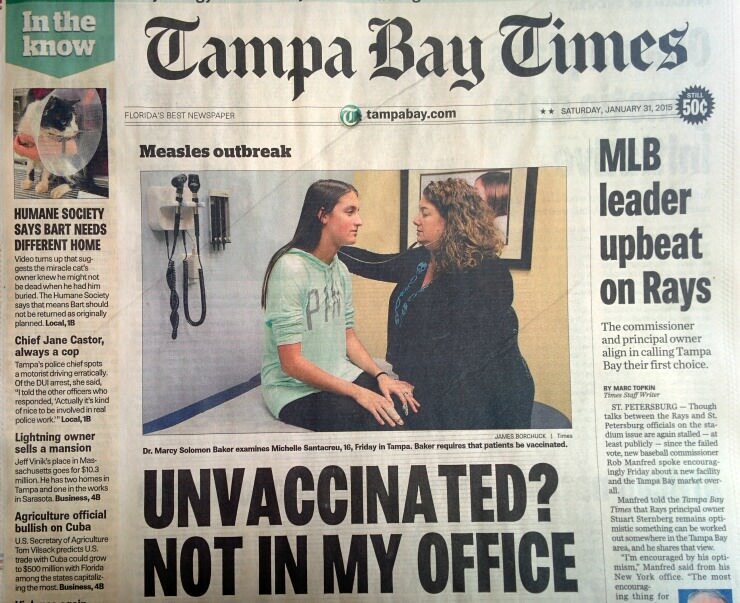 The best thing in the world is for a "vaccination" driven "doctor" to refuse to shoot up your child with one poisonous "vaccine" a month on average. 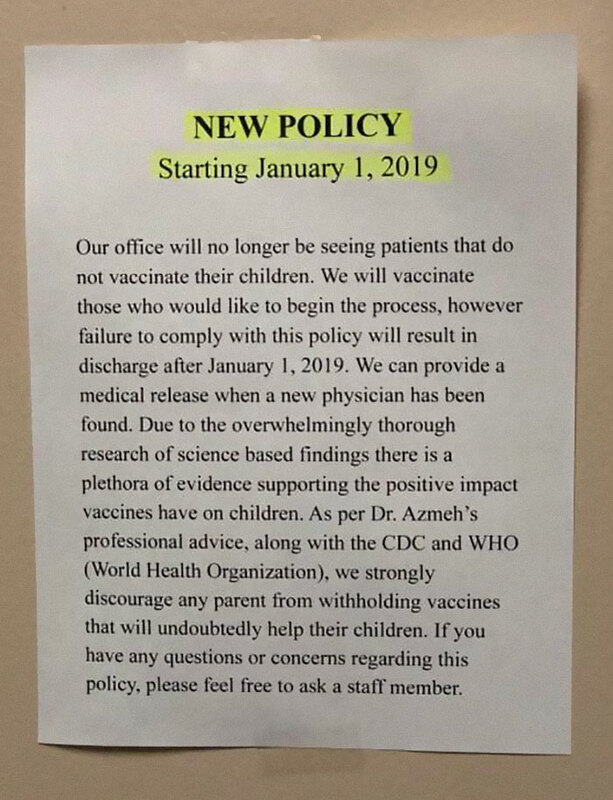 If these poisonous "vaccinations" are so wonderful please explain to me why our children under five DIE at the highest rate in the first world? You cannot do it and remain rational. Please take a little time to RESEARCH the poisonous "vaccinations"